The ban will keep ducks and geese out of slaughterhouses for three months. 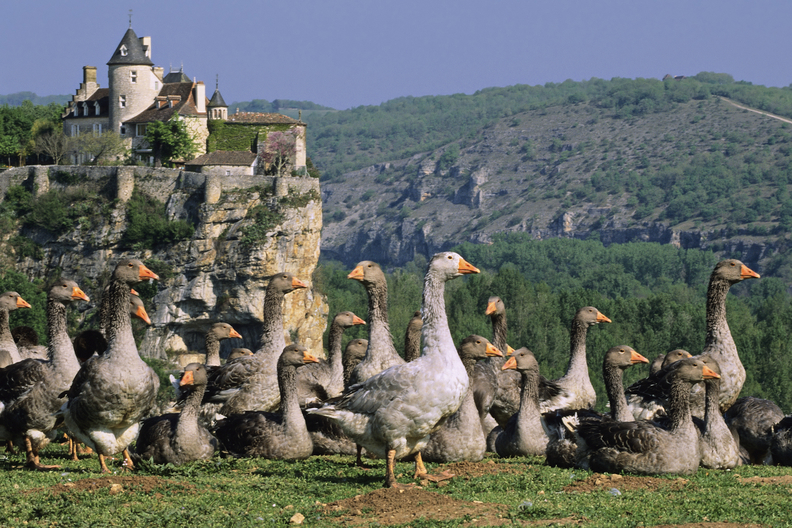 French officials ruffled the feathers of foodies this month when they announced that foie gras, the luxury pâté made from the fattened duck or goose liver, would not be produced for three months. The supply is being plucked because of mounting fears over its potential contamination with avian influenza, according to reports. The au revoir to foie gras may only be temporary, but that's not stopping the pâté's lovers and haters from crying foul. France is estimated to produce 75% of the world's supply of the delicacy and exports about 5,500 tons annually, according to The Local news website. Manufacturers fear the interruption will have widespread economic consequences. Others, however, were angered that France did not choose to suspend production for ethical reasons. “Namely, the practice of shoving food into the bellies of birds with a long metal tube,” explained a writer for Munchies, a website focused on the global culinary experience. “Avian flu has achieved what animal rights protesters have spent years trying to do,” said an article in the Decanter, a wine and spirits magazine. In fact, it didn't take long before the People for the Ethical Treatment of Animals weighed in with a tweet. “If only they'd ban it forever,” the group wrote. That was certainly the goal in California. Gourmets squawked in 2004 when California proposed banning foie gras from menus beginning in 2012. When that ban was lifted last winter, one chef flew into action. He quickly created a four-course foie gras tasting menu. It “sold out within a few hours,” according to a National Public Radio report.